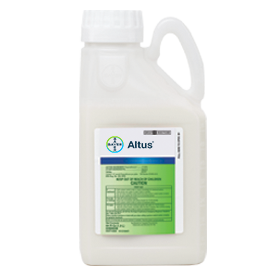 Altus offers flexibility by controlling sucking pests before, during and after bloom, and is compatible with honey bees, bumble bees and many other beneficials. Flupyradifurone, the active ingredient in Altus, is the first insecticide with a butenolide chemical structure. Altus provides a novel chemistry that delivers systemic, broad-spectrum control of major sucking pests, like aphids and whiteflies, at any stage of plant development, including bloom, in landscape ornamentals.